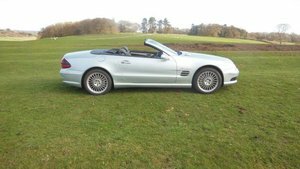 Trinity car Solutions present for sale a stunning AMG Mercedes SL55 finished in Brilliant Silver with complimentary Grey leather interior. This is the car Clarkson described as the 'Swiss army knife' of the car world, wax lyrical he continued, "It's a top down funster, a long-distance cruiser, a muscle car, a Messerschmitt, pose-mobile," he bellowed during the car's Top Gear shakedown. Talk about one upmanship. 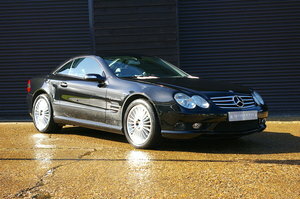 No sooner had Mercedes new SL been launched to rave reviews than the company's in house tuning arm went one better. 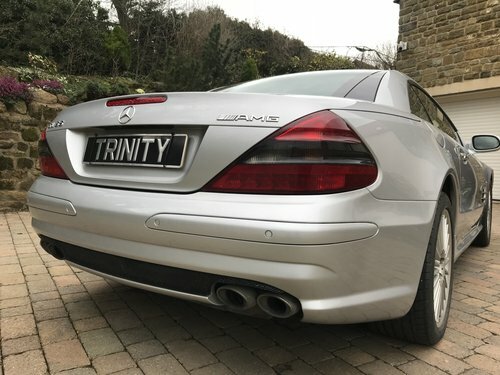 The SL55 AMG on launch became the three ointed star's new flagship, and was the most powerful production car ever to storm out of the factory gates. The car's shape is a master class in understatement, so external changes where limited to modified bumpers, four chromed exhausts and a choice of two new 18 inch alloy wheel designs. Few onlookers will be aware of the car's Ferrari bashing performance potential lurking within the sculpted body. AMG when developing the 5.5 litre supercharged V8 engine, wanted torque to be the primary concern. 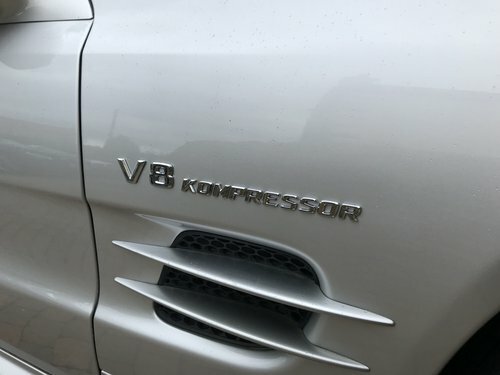 A supercharger is ideal as it operates at low engine speeds, and AMG had already developed the technology for the SLK32 and C32 models launched earlier. 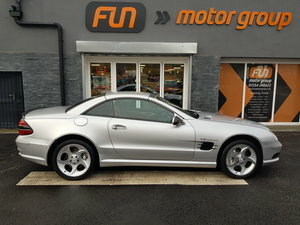 But the SL55 is in another league, producing an astonishing 700Nm of torque at only 2,650rpm. Compared with that, its 476bhp power output seems almost insignificant. And the engine's sound is amazing. Even at idle, it reverberates through your ears and makes the ground tremble. Crack the throttle open and the full blooded roar is nothing short of phenomenal. However, it takes a while to notice the sound to begin with, you're too busy concentrating on the speed. Despite weighing the best part of two tons, AMG's flagship will pass 60mph in 4.5 seconds. By that stage, though, it's only just getting into its stride. With the standard car's 155mph limiter removed, Mercedes claims 180mph is easily achievable and beyond. 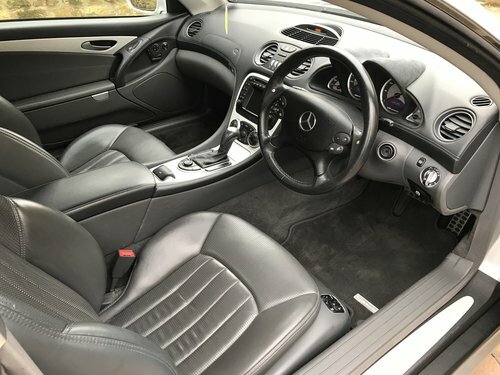 AMG models of the past had been rather hard and brutal, but not this model, the SL500 is a phenomenal starting point but the SL55 moves the game on to a different playing field from there. It's not a pure sports car, and it's never going to offer a Ferrari type thrill, but it is astonishingly capable and flows beautifully. 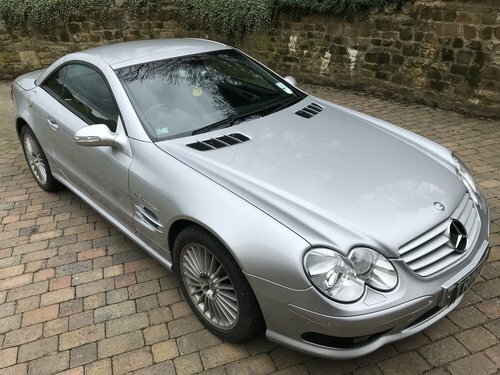 The best thing is unless you know about AMG SL55's, don't try to overtake one at the lights, an absolute rocket ship and hooligan tool for the 30,40,50 somethings! 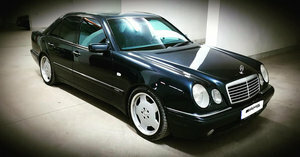 This flawless prime example is a low owner car, with less than 43k miles from new. 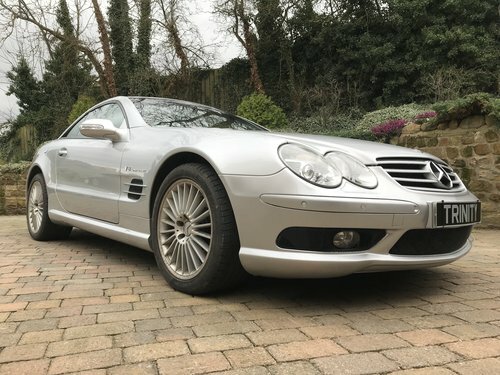 Mechanically excellent in every single facet, the current owner of this car is an enthusiast beyond enthusiasts, nothing has been overlooked with this car, excellent history, excellent presentation, excellent provenance, and all the SL55 issues addressed. If you can find one of these amazing cars in a better state of readiness, then buy it, full stop. 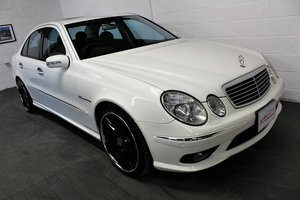 Our AMG has to be seen in the metal to fully appreciate the true quality of such an exacting example. Serious enquires only by appointment please, as this car is atmospherically stored in secured premises, and is not available for general inquisitive call ins at our showroom. 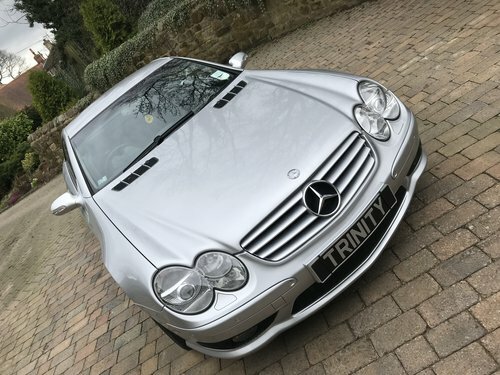 Any inspection welcome as this car has undergone a complete inspection schedule by the team at Trinity Car Solutions for your peace of mind. Please don't hesitate to contact us should you have any further questions or to arrange a viewing. 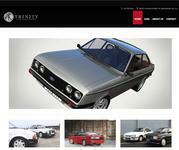 Here at Trinity our mission is to supply top quality specialist marques to our valued customers. For your added peace of mind Trinity Car Solutions are accredited members of the Retail Motor Industry Federation (RMIF) providing high quality, value for money services to the motoring public.